Looking for a hot, new place to grab a bite with some friends? 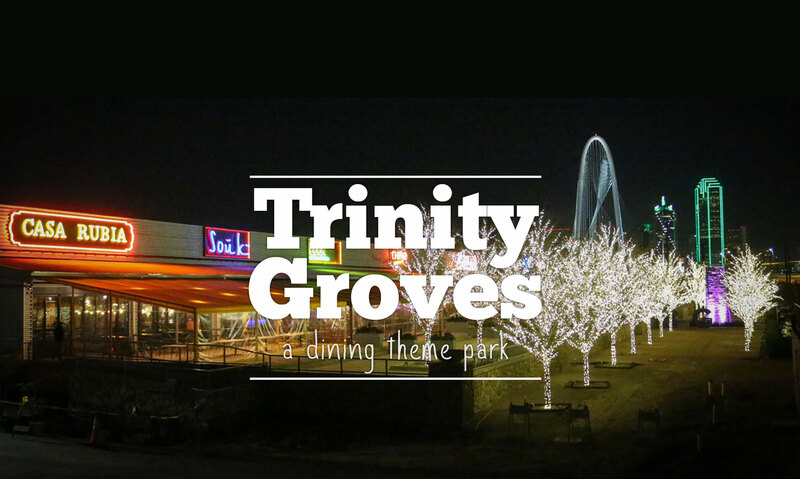 Check out Trinity Groves! With over a dozen restaurants, this “dining theme park” is sure to have something for everyone to enjoy. It’s the perfect place to go when you can’t decide what to eat; from BBQ and blues to exotic Moroccan food, the variety is endless! Located at the foot of the Margaret Hunt Hill Bridge, 15-acre Trinity Groves is definitely worth a visit!